VISITATION IS court ordered parenting time with your children. Parenting time is the more politically correct terminology now for visitation. Visitation is awarded to the non-custodial parent so that the parent may have a set time to spend with the child. In most cases a non-custodial parent is entitled to some type of visitation. There are a few rarer cases where the visitation must be supervised by a professional place or other mutually agreed upon person. Visitation can also be granted to other people in the child’s life including grandparents. Visitation can be granted through divorce, dissolution, and juvenile proceedings for non-married parents and other individuals. A MODEL VISITATION SCHEDULE exists in each county in Ohio that can be used in domestic and juvenile proceedings. The model visitation schedule can vary by county and keep an eye out as schedules can change. It was adopted to make it easier for parties to determine parenting time schedules. It divides up holidays and vacations for the child including summer and winter breaks from school. 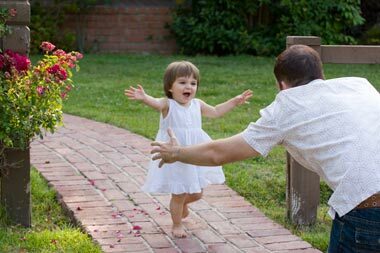 The schedule can be used in cases where one parent has full custody or if the parents have shared parenting. If a parent has been granted this schedule then many times they will have parenting time of every other weekend and one evening each week with the default day being Wednesday. Other schedules can include alternating full weeks or sometimes parties do a schedule where they alternate weekends and then split up the weekdays equally. Holidays and breaks are alternated based on even and odd numbered years. Each parent is usually entitled to parenting time for half of the summer break as well. The model visitation schedule can be modified to fit the needs of the case upon the agreement of the parties or by court order. There is a different model visitation schedule if the parties live more than 90 miles apart. Instead of the every other weekend parenting time the rule allows for a one weekend per month visitation if travel time for the child does not exceed three and one half hours, one way. The schedule also provides for parenting time if either parent is going to be in the area of where the other parent lives. The model visitation schedule does not have to be used, but it can make things much easier because it provides for all of the breaks, holidays, and other small details including transportation and clothing. A MOTION WITH THE COURT must be filed by a grandparent, relative, or any person other than a parent for visitation, and the court determines if it is in the best interest of the child to grant the visitation time. One of the factors that the Court can look at for either parents or non-parents include the child’s interactions and interrelationships with siblings, parents, relatives, and any person who is requesting visitation time. Additional factors include distance between residences, school and work schedules, age of the child, the wishes of the child, health of the child, various criminal records of parents or petitioners, and other factors including any factor in the best interest of the child. OUR VISITATION ATTORNEYS AND LAWYERS are highly skilled in all visitation issues. We have handled many visitation cases and have an A+ rating from the Better Business Bureau. Whether you need to set up a new order or modify an existing one, our attorneys stand ready to assist you to fight for the best outcome possible. Call today for your free telephone consultation to determine how our law firm can help you.